A while back I read Henry’s novel Losing the Moon and although I had misgivings when I started the novel, it won me over in the end. Sadly, I can’t say the same about Where the River Runs. I wanted to like it, I really did…but I just had so many problems with it. Where the River Runs is the story of Meridy Dresden, lawyer’s wife and mother to a teenage son, BJ. She has a strained relationship with her mother and sister and a big secret that she’s kept since the summer she graduated from high school and her boyfriend, Danny, was killed in a fire. When she’s asked to write a curriculum based on Gulluh (descendants of African slaves) culture, she goes back to her childhood home to interview Tulu, her childhood housekeeper. What this novel expects us to believe is that 20 years after the tragic fire that killed Danny, Meridy’s best childhood friend, Tim, is being asked to pay for the damage to an old historically significant cottage that burned down. The novel also asks us to believe that people’s strained family relations can be miraculously resolved over iced tea on the porch. Meridy’s struggle to reconcile her past was real enough except that the secret she built her life around was ridiculously inconsequential. I just didn’t buy into her angst. It all seemed contrived and convenient and forced. For me, the best parts of Where the River Runs were the Gulluh sayings at the start of every chapter. Things like Death is one ditch you cannot jump and the heart doesn’t mean everything the mouth says. 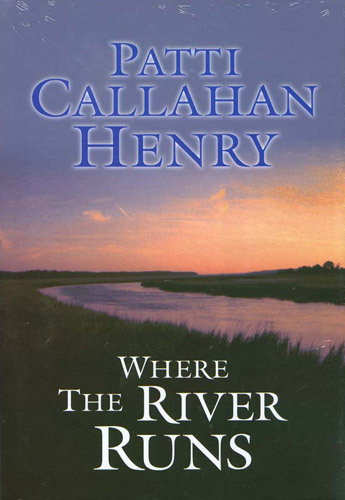 Where the River Runs is part of the New American Library Accent series, novels which are meant to touch on subjects close to a woman’s heart, or as the tag line says: “Fiction for the way we live.” I don’t know anyone who lives this way. Didn’t like this one at all…read Losing the Moon instead. This entry was posted in Uncategorized and tagged 2009, Book Review, popular fiction, really disappointing books by Christie. Bookmark the permalink.